Building a ‘green home’ sounds like an excellent idea, but which of the “green technologies” are best to use? There are quite a few, there is perhaps the most well-known, solar energy, which can be split into two categories; active solar and passive solar power. Then there are the wind-generated and the hydro-electric sources (as in the use of waterwheels turned by a running stream, for example). There is also geothermal power as well, which uses the heating and cooling qualities of the ground in applications for home energy consumption. But which of all of these is best to use? That’s a bit of a trick question because the best way to achieve efficiency is to cover all angles. In building a green home, it’s best to diversify your sources of energy, create backup systems, and even have some systems help out or complement others. After all, it’s free energy, why not grab all of the opportunities available? Let’s look at what geothermal power can do. With a network of pipes set underground below a house’s foundation, you can have water running through them, collecting the Earth’s heat, circulate it within the home to provide heat and hot water, and with the use of heat pump generators, and even produce electricity from it. Another angle to consider when building a green home is the use of the power of the wind. Many homes today are self-sufficient using only this source of power, generating more than enough needed electricity using one or two windmills to produce it all. The power that they generate is stored in cells such as the batteries found powering forklifts and the like, and from there, the constant flow of electricity to the home is regulated. Many have built windmills, and have very cheaply acquired these battery cells used, and have recycled them for use with their wind-powered generators. But when building a green home, perhaps the first power source that may come to mind is solar energy. 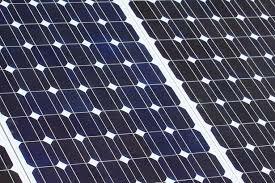 Using solar panels today is vastly cheaper than it was decades ago, and the power output of today’s photovoltaic cells (“solar panels”) is quite superior to that of those from the seventies when solar energy had its first big burst of popularity. People today are even making their solar panels as weekend projects, spending less than a couple of hundred dollars on easily procured parts to create a single 2×5 foot panel which can power a desktop computer, air-conditioner, and a small garage refrigerator. A person might only need three or four of these to power everything requiring electricity in a small home today, and decades ago an entire roof array was needed that would cost well over ten thousand dollars to procure. If you are planning to build a sustainable home, you need to contact sustainable design assessment testing experts who will come and examine your design. The experts will come and have a look at the design concerning energy, materials to be used, water harvesting methods and all that makes a home green. After that, a permit will be awarded, and you can go on with the construction. All mobility scooters usually run on batteries and to make sure that you increase the life of your scooter, it is important that you maintain it well. The type of mobility scooter Adelaide that you buy entirely depends on what your requirements are, what kind of roads and terrains that you usually follow, how you are planning to store your scooter, your body weight, and size, etc. You will not be able to come to a conclusion until and unless you do not try and experience various models of the mobility scooters yourself. Understand the basic guidelines that vary from one model to another and use it accordingly. One of the most important steps in making sure you are taking good care of your mobility scooter is the environment where you store it. It has to be in an area where there are fewer chances of getting it damaged. For a smoother running of the mobility device and also to maintain its life, using it in the correct method is very essential. One of the best locations to place your mobility scooter is at a cool, dry and a clean area. If possible, choose an area that is near to the main electricity socket so that charging won’t be an issue. If you have a shed or a small garage that is locked away, it can also be an excellent location to store your device. It has to be ideally away from the exposure of extreme climatic changes like the sun’s heat and the cold, harsh winds. Also, the place that you decide to put your scooter in should be a dry one. Any mist or humidity or moisture will lead to the corrosion of the vulnerable parts of the scooter. Just in case you happen to store your mobility scooter outside your home in the open, you would have to buy a waterproof storage cover to make sure that it is secure. There are covers of a variety of types and also the ones that include having a locking mechanism. Keep cleaning your mobility scooter at regular intervals and ensure that no dirt particles enter any part of the mobility device. A good storage cover will also save it from the dust. If you are to store your mobility scooter Adelaide inside in any of your rooms, you have to ensure that your door size is enough to let the mobility device come in and go out. You don’t want it getting damaged while you are trying to drag it inside or outside. 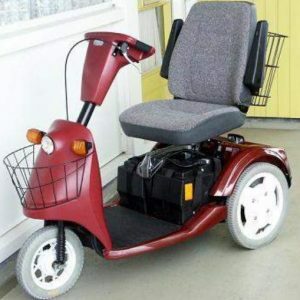 There are some types of scooters that allow you to lessen the size of the chair such that the entry and exit of the scooter becomes a more practical experience. If you have a folding scooter that can shrink down, you need to ensure that you understand the entire process of folding completely, without hurting yourself. Always be careful as you put the mobility device in and out of the car. Find more tips here on how to take care of your mobility scooter. Logistics refers to the management of the transportation of resources between two locations. With the growing global population and increased competition across every sector, the need of reliable logistics services is on the rise. With the rising of living standards of people, the consumption rate is increasing too. The industries are seeing fast growth and success. Keeping this in mind, the advancement of transportation of logistics and distribution has also increased. 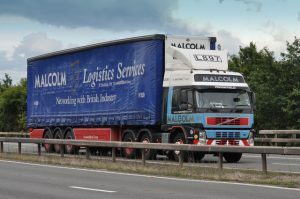 Here is how to go when choosing logistics companies Adelaide. Check these out to make the decision wisely. The first step would be to establish a selection committee for choosing the logistics provider. You can select members from across every department of your company to define your department’s logistics and distribution needs. The next step should be to pen down your business’ targets based on logistics need. Based on the goals of each department of your company, you can start the initial search for an authentic and reputed logistics partner. You should review your business’ customer service requirements and process. Depending on that, you should choose a logistics partner who can deliver the right level of assistance your clients expect. You can develop a profile of your ideal logistics partner. You have to jot down the key attributes you are looking for and the resources and abilities your logistics provider will need to meet before you start looking for one. Once you have the few names of prospective logistics partners, you can send emails to them. You have to convey your needs and request further information about them. Make sure that the company focuses on their abilities and resources to surpass your customers’ expectations and your stated needs. Get the responses assessed by your business’ selection panel and narrow down the search. Send further proposals to the top 3 logistics firms, stating your company’s needs. Make sure they agree to deliver what you exactly need to make things better. You can evaluate the proposals from your shortlisted logistics companies Adelaide. You can schedule tours with each of them and assess their stated capabilities. Visually confirm if they can play the role you have defined. Finally, you can get your selection panel to monitor the final logistics partner for one business quarter before finalising on the permanent logistics and distribution firm. If you are satisfied, you can award the contract to your chosen logistics and distribution partner. Hence, make sure that you select a flexible logistics partner that would meet your business needs. Hire your logistics transport service provider carefully to stay assured that your cargo is in safe hands. For the best logistic services, browse around these guys. Imagine yourself living in your dream house. What would it look like? How would you feel? More and more buyers are purchasing new homes as a way to make their dreams come true. Houses under construction or about to be built allow future homeowners to provide input modern new home designs Adelaide to bring their visions into reality. Where you will live is a big decision. Ever moved into a house or apartment only to complain about the size of the bedrooms, the number of bathrooms, or the amount of storage space? Obtaining a mortgage loan takes effort and commitment on the part of individuals. Buyers tend to stay in their houses longer than renters. When you purchase a property, you either have to live with its inconveniences and inefficiencies or spend money to make some improvements. Buyers should take the same time and care needed to obtain their loans and put that effort into finding residences that will match their lifestyles and grow with them. Buyers of new homes have the opportunity to pick layouts that address their unique needs and include customised features that simplify their lives. New homes provide some features that can increase owner satisfaction and happiness. Custom features include a variety of options and plans for both the indoor and outdoor areas. Design plans involve the number of bedrooms and bathrooms. Additional floor plan considerations include storage space, lighting needs, cabinet placements, and the number of electrical outlets. 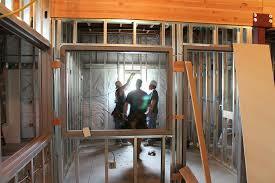 Features of recent home constructions encompass all aspects of a residence and all types of occupants. Owners looking to maximise outdoor space can incorporate larger yards, landscaping, decks, porches, and pool areas to make the space more functional. Those worrying about safety and protection can have built-in security systems. Media enthusiasts may install wiring for sound systems and entertainment centres. Additionally, individuals can choose paint colours, floorings, and cabinets. This process saves them from spending both the time and money on renovations. Energy efficiency is one of the aspects of the building that attracts buyers for both its design features and cost savings. While older properties may have gaps in the doors and frames, modern new home designs Adelaide contain insulation, sealed doors, and modern double-pane windows that all keep the warm and cool air inside the property. These features reduce energy costs and provide the bonus of stronger protection during severe weather. Contemporary appliances are also made energy efficient, utilising less power than pre-owned equipment. Owners see the savings in both their energy bills and in repair costs. If you are planning to construct pergolas South Australia, it is important to look for the best components you can use and that you will need in advance. If you are thinking about seeking help from professionals or from those who work in this line, then you should make yourself knowledgeable of the things or materials you will need. This will be very effective because you will avoid those who might cheat you and make you buy materials that are unnecessary. Thus, you will not be wasting any money then. Below are some of the supplies and materials you will need your pergola. The posts will be necessary for your pillar’s foundation. Ensure that your posts are strong enough so that your pergola will stand strong as well. For the posts to resist all the forces that can make it fall, use those sturdy timbers. The type you incorporate will depend on the pergola design you are thinking of. Aside from the plants, the pillar is one of the most eye-catchy parts of the structure for your pergola. You can first search or look for different kinds of components for your pillars to make it look good. Support beams hold the other parts of the pergola structure such as the crossbeams, to stay securely in place. So, you must ensure that the money you will spend will be worth it. Purchase only the materials that are very sturdy and support beams that are heavy-duty. This is a part of the pergola where your plants are going to be installed and where your vines can be left to develop. You should ensure that it is strong enough to support your plants and resist any insect attack or other disturbing factors. These components should never be forgotten to be placed on the list. If you use only a few nails or screws, your pergola will surely have a high tendency fall apart or get destroyed. Be certain that you have enough screws and nails that you can use all over your pergola structure until it is done or finished. 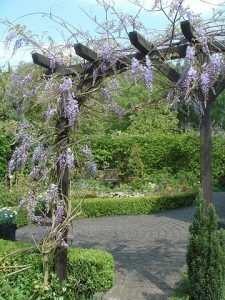 These are what make your pergola complete. This will be its overall finishing material or component. Also, the plants and vines are like the soul of the whole structure. These parts will also make your pergola look more presentable and good. Without these elements, your pergola will be nothing. So to make perfect pergolas South Australia, you must see to it that you have all the materials and important components bought. Do not forget that if one is missing, your pergola will have a great possibility to fall or look bad. Complete all these materials, so you will be able to achieve the pergola design you want or desire.